Physio Wellbeing is a regular provider of physiotherapy in care homes. Our service provides multiple benefits for older clients, whether they are fully mobile or possibly having some difficulties with their mobility. Our specialist team are also qualified and expert in the provision of end of life palliative care. Obviously, many of our older clients are unable to visit us in the clinic so in this case, we will provide a mobile physiotherapy service and visit the care home at a time to suit. We offer a full range of treatments with many designed to help with increased circulation and prevention of stiffness. With a lot of our care home patients being sedentary for most of the time and either sitting in a chair or even confined to bed, our massage treatments are a great boon when it comes to rejuvenating the muscles and allowing tissues to be replenished thus improving flexibility. 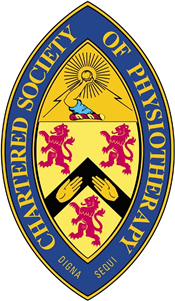 At Physio Wellbeing we care very much about our patients and believe that therapeutic massage and physiotherapy in care homes can be of great benefit. Treatment is carried out in the privacy of the patient’s own room and very often they will not even need to move from their chair or bed. For care home managers looking for a flexible, professional and skilled physiotherapy service to improve quality of life and attend to end of life palliative care, we are always able to help. For many years we have continued to work with care homes and their residents throughout our area of coverage and have a reputation of providing care in an empathic and sympathetic manner. Whether you are an individual looking to arrange end of life palliative care or a care home looking for long term ongoing treatment for your residents, do not hesitate to get in touch. We can help by discussing patients’ needs and putting in place a well-planned and holistic programme of care.